· Provider of Custom Steel Buildings, both small and large. 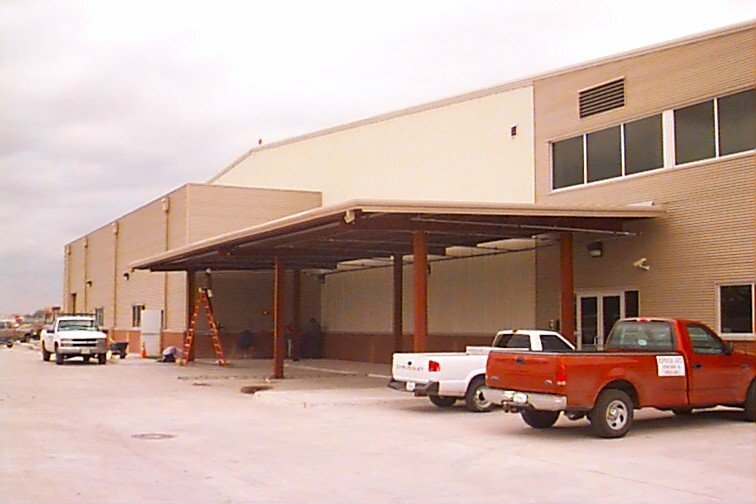 · Delta can design & fabricate Steel Buildings for your project, large or small. 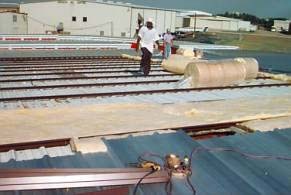 · Steel Building Installation Services are offered. · Delta can design for and ship buildings to any destination in the world. 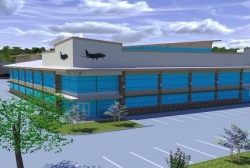 · Delta Offers Turn-Key Design-Build Construction. · Design-Build Projects save 6-9% (of the total job cost) over typical Architects design fees. · Design-Build allows for a stream-lined design / construction process that saves the Client time and money. · Extended Weather-Tightness Warranties and Maintainance Agreements are offered. The NEW Delta Steel Buildings Company (TM), a subsidiary of Delta Buildings Division is an outgrowth of the original Delta Steel Buildings Company and provides true Custom Steel Buildings for many customers in the United States and abroad. Delta has the experience you need to design, build and complete your project to your desired quality in a timely manner. Please take time to browse our products and services pages and view our gallery of a few projects that Delta Buildings Division and Delta Construction Services Company and Delta Steel Buildings Company (the Delta Force) has completed over the years. We also have provided you with a convenient Online Quote Request Form that you can use to submit via the web or fax (972-241-8581) to Delta to receive a quote. www.deltabuildings.com is your one stop shop for all your construction needs! Architectural Services, Airport Construction, Airport Terminals, Air Freight Centers, Air Maintenance Centers, Aviation Support Facilities, Aircraft Hangars- Commercial & General Aviation, Airport Control Tower Construction, Airport Runway Construction, Airport Taxiway Construction, Airport Fixed Base Operations Facilities, Airport Fuel Farm Construction, Airport Parking Structures, Airport Security & Systems, Base Construction, Military Base Construction & Demobilization, Military Base Realignment, Oil Field Base Construction, Bridging, Portable Bridging, Temporary Bridging, Steel Bridging, Wood Bridging , Construction, Construction Management, Contractor of Services, Chemical Facilities, Chemical Terminals, Design, Design-Build Construction, Distribution Centers, Engineering , Engineering-Civil, Engineering-Construction, Engineering-Mechanical, Engineering-Electrical, Engineering-Consultants, Engineering-Industrial, Estimating, Fabrication, Fabrication of Metal Buildings, Material Exports, Material Expediting Metal Framing , Metal Fabrications, General Construction, Global Construction, Hangars-Storage, International Projects, Manufacturing, Manufacturing Facilities, Manufacturing Steel Facilities, Manufacturing Crane Buildings, Manufacturing Heavy Facilities, Packaged Systems Installation, Pre-Engineered Metal Buildings, Project Construction, Project Management, Portable Building Construction , Ports and Wharf Construction, Temporary Construction, Temporary Quarters, Temporary Base Camp Buildings, Temporary Storage Buildings, Turn-Key Construction, Railroad Construction, Residential Construction, Residential Quarters Construction, Structural Steel, Structural Steel Erection, Structural Steel Framing, Structural Steel Construction, Storage, Storage Facilities, Storage Buildings, Site Work , Utilities, Utility Construction, Value Engineering, Research & Development Facilities-Aircraft, Research & Development Manufacturing Facilities, Warehousing, Bonded Warehousing, Refrigerated Warehousing.